Ever since the crossover from the 20th Century to the 21st Century we have seen some great talent (actors) enter into Hollywood, but that isn't to say that the great actors from the 20th Century aren't still dominating the Hollywood scene. Acting is something that is not measured in box office success, but rather in the talent and performance that the actor brings to their characters. Each and every actor listed below has shown substantial talent in movies released in the 21st Century, hence the reason why they have been chosen for a spot on our list. Starting with the best actor, down to the least best, here are the best Hollywood movie actors working today. Tom Hanks is the one actor we can all rely on to surprise us, no matter what role he is playing, and no matter what movie he is starring in. From the jaw-dropping performance as Chuck Noland in Cast Away (alongside his companion, Wilson), to the voice-over role as Woody in Toy Story (franchise), Hanks never disappoints. Hanks is a veteran actor, great when he began acting in Hollywood, and still plays great roles today. There is honestly, an account of zero bad movies/performances that we can think of for Hanks, which is odd considering most actors have at least one bad movie hidden in their closet. Ever since the year, 2000, when Phoenix starred alongside Russell Crowe in Gladiator, it confirmed Phoenix and Crowe a place in Hollywood. Phoenix wowed audiences all around the world when he played the role of Commodus in Gladiator, the time we all hated him because his character was the bad guy (and that was the emotion we were supposed to feel towards him, as viewers watching the film). Then, as if he was born to be an actor in Hollywood movies, Phoenix began taking all of the right roles, starring in Signs (alongside co-star Mel Gibson), The Village (alongside co-stars William Hurt and Sigourney Weaver), and more recently, Her (alongside co-stars Amy Adams and Scarlett Johansson). If being nominated for 3 Oscars (and countless other-times, including these 3 nominations, where he should have won the Oscar award for his performances). Most actors give each performance 100% of their dedication and efforts, Phoenix gives his performances 110% every time, and he is still yet to win an Oscar (go figure...). The year 2000 was a break-out year for Christian Bale, as his role that year as Patrick Bateman in American Psycho proved to be one his best on-screen performances to-date. However, it wasn't until 2005, when Batman Begins was released (starring Bale as Bruce Wayne/Batman), that we starting looking at Bale as a Hollywood heavy-lifter. Bale's performance as the character, Batman was so good that it brought back the superhero character from the trash (where it had been left since the 90's) and it soon had a sequel, which was better than the first, and then it finished with a third and final instalment (starring Bale as Batman), clarifying Bale as a hot item (and the character, Batman) in Hollywood. The late Heath Ledger was first brought to audiences (around the world) attention when he played the role of Patrick Verona in the teenage rom-com, 10 Things I Hate About You, released in 1999. The film was the start of a great run for the Hollywood star, as he soon appeared as leading roles in The Patriot (2000), A Knight's Tale (2001) and the brilliant, The Dark Knight (2008). Point is, Ledger was a Hollywood-great, even before he starred as 'The Joker' in The Dark Knight, which got the attention of audiences everywhere, all around the world. 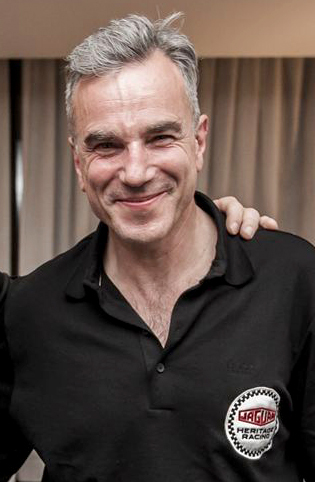 Daniel Day-Lewis has won a staggering 3 Oscar awards, which were won for best actor in a leading role in My Left Foot: The Story of Christy Brown Brown (1989), best performance by an actor in a leading role in There Will Be Blood (2007), and for best performance by an actor in a leading role in Lincoln (2012). Not to mention, Day-Lewis has won 2 Golden Globes, 4 BAFTA Awards, and countless others. Enough said. Russell Crowe is one of Hollywood's most talented A-list actors, having proved his ability as an actor in such movies as Gladiator (playing Maximus), A Beautiful Mind (playing John Nash), and 3:10 to Yuma (2007, remake) in which he played his characters stunningly. Crowe is an actor of rare talent, making it a little disappointing that it has been a while since he has played a role worth his calibre, but other than that, Crowe is an actor worth watching out for in the movies. Matt Damon had shown he was a rising star in Hollywood, after he wrote and starred as a leading role in 1997's release of Good Will Hunting. Since Damon's success in Good Will Hunting, he has gone on to play great roles in Hollywood, in such brilliant movies as The Bourne (film series), The Departed, and The Adjustment Bureau. Although Will Smith has not yet won an Oscar, he has proven that he is most certainly Oscar-worthy, as his performances have a way of moving any (and all) human souls, when he plays an emotional role, which Smith has become well-known for doing. Smith has played roles in some great movies, but of the best emotionally moving performances he has played it would have to include The Pursuit of Happiness (playing Chris Gardner), I Am Legend (playing Robert Neville), and Seven Pounds (playing Ben). Johnny Depp is a show-stopper, with the ability to take on roles to make you laugh, make you gasp, make you cry, make you wonder, and much more. Johnny Depp is an all-round extremely likeable, great actor, whose starred in some of the biggest box office hits of all time. Depp is known for playing eccentric characters which are full of life, which is good considering these are the roles he suits best, and have become the roles he is best known for. Among the wonderful selection of Depp movies, the ones which are most memorable include Pirates of the Caribbean (franchise, playing Captain Jack Sparrow), Sweeney Todd: The Demon Barber of Fleet Street (playing Sweeney Todd), and Alice in Wonderland (playing Mad Hatter). Leonardo DiCaprio is Hollywood's go to A-list actor, when they are looking for a big-budget thriller, mystery, or drama, as DiCaprio has shown that he is considerably talented as an actor and can pull off some tricky roles in these categories. 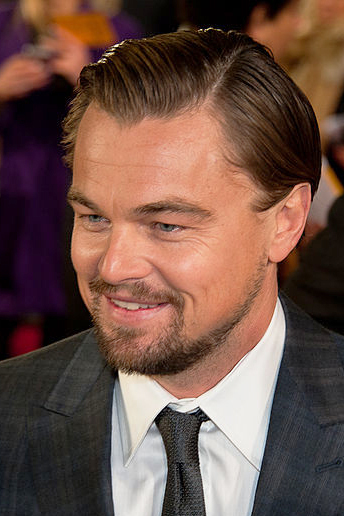 Among DiCaprio's best work as an actor, would include his performances in Titanic (playing Jack Dawson), The Departed (playing Billy), and Inception (playing Cobb). DiCaprio is handsome, a talented actor, smooth-talking, and a much-loved Hollywood A-lister, with the talent to go a long way in Hollywood's movies.